EXPERIENCE SOME OF THE WORLD'S MOST RENOWNED MUSEUMS ON THIS SPECIAL TRIP. 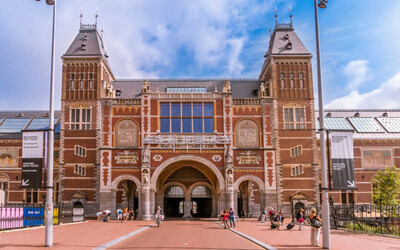 Amsterdam is noted by Frommer's as one of the best cities on Earth for museums. 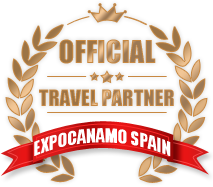 The compact city boasts dozens of museums, and you get FREE entry or discounts to many of them with our travel package. 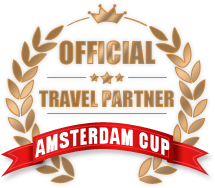 Plus we'll take a day-trip outside Amsterdam to a special museum worth visiting. Dazzle your senses and enjoy the convenience of our package on this cultural trip of lifetime! MC Escher Museum We take a trip outside of Amsterdam and over to The Hague because here is the museum dedicated to one of the great Dutch artists, MC Escher. 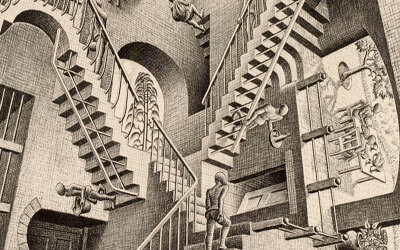 Escher is considered to be one of the world's best graphic artists ever with his fascinating, mind-bending illustrations. Transportation and museum entry are conveniently included in our travel package! Rijksmuseum The Rijksmuseum is the National museum of The Netherlands. It is the largest and most famous museum in the country, housing the most famous painting in the country, The Night Watch - painted in the 17th century by the Dutch Master Rembrandt. The building and grounds of the Rijksmuseum are as magnificent as the artworks within. Entry is FREE with our travel package! Van Gogh Museum Located in Amsterdam's beautiful Museum Square along with the Rijksmuseum and the Stedelijk Museum of Modern Art is the Van Gogh Museum. 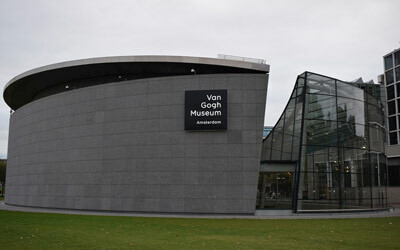 The largest display of the works of Masterclass Dutch painter Vincent van Gogh is housed here. Entry to all three museums at Museum Square is FREE with our travel package!